Craig Widdison will support racing at Corowa on Friday, September 15 with two runners in the form of Hard Wood Harry and Charlie's Hero to compete over an 8 race programme racing on a good (4). The first stable runner will see Hard Wood Harry compete in a maiden handicap over 900 m with Richard Bensley aboard jumping from barrier 10. Last time out he raced at Benalla on February 12 finishing 8 of 10 with Luke Nolan aboard arriving 10.20 lengths behind Bastile in a time of 1:04.88. Charlie's Hero will run in race 4, in the Richard Freyer Memorial with Nick Souquet aboard jumping from barrier (15). Last time out, the five-year-old Bay gelding raced at Wangaratta finishing nine of 12/1400 m when arriving 8.85 lengths behind Sully in a time of 1:25.79. 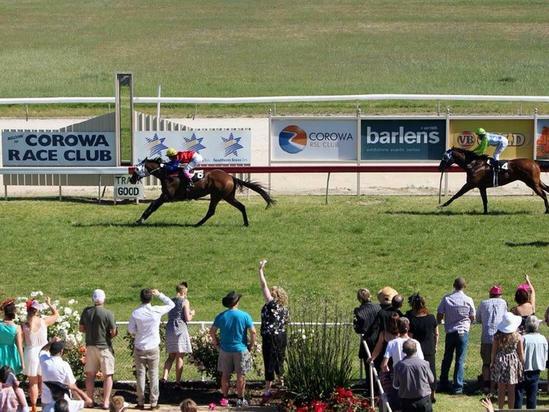 Best of luck to connections with both runners at Corowa on Friday.